Many Australians have heard the rumour that cheaper cruises can be booked through American cruise booking sites such as Vacations To Go. Australia does not have a local office of this U.S-based travel agency but the internet allows easy access to its cruise deals. However, some Australians are concerned about using American travel agents with American cruise prices because it is seen as too risky or disloyal to Aussie businesses. "Consumers need to be wary of booking cruises on U.S. sites as the shipping lines reserve the right to deny boarding at check-in if they find that travellers are not U.S. residents who booked with a U.S. agent at the U.S. market rate." This quote was posted on Cruise Critic's message boards by member LuckiePuris, who got the information from an Australian travel agent's website. The thread showcases the frustrations of Australian cruise fans trying to get a great deal on a holiday at sea. Their biggest fear? Getting a great price on a cruise through a U.S.-based agency only to fly halfway around the world to the embarkation port and be told they're not allowed to board because their home address is in Australia. U.S. cruisers benefit from an abundance of homeports, last-minute sales and regional discounts. However, the Australian cruise market often struggles to find such affordable rates on their home turf. Many have turned to online travel sellers in the U.S. to find the best deals, but many would-be cruisers are now finding that overseas agents refuse to book them because of cruise line policies. Beyond that, Australian cruise travellers are simply frustrated and angry that they have to jump through hoops to get a good price on a cruise. "All I know is that they are gouging us Aussies on pricing," says member victravellers, while Down-Unders concurs, "Whatever spin you want to put on it, the blank sheet of paper should read, Australia and New Zealand are being robbed blind." So why are prices so different -- and can you really be denied boarding based on your nationality? The answers are difficult to find, especially since cruise lines are loathe to talk about it; most of our requests for live interviews were answered with e-mailed company statements or terse written answers to our questions. Ultimately, we were able to speak with U.S. travel agents and exchange e-mails with several cruise lines and Australian cruisers. Why Is the Same Cruise Priced Differently for Different Nationalities? Do Cruise Lines Forbid Australians from Booking Cruises Through U.S. Travel Agents? Will Australians Be Denied Boarding for Booking Through a U.S. Agency? How Can Australian Cruisers Find the Best Fares? The very root of the problem is the fact that cruise lines price cruises differently in different markets. "We had paid over $3,500 p.p. at the time for cabin…. Once on board, we discovered that nearly everyone had paid less than $1,000 U.S. for the 14 day cruise," posts member Aussie Gal. "Of course this was never offered to anyone here in Australia." Even though one might think an outside cabin has the same value regardless of the nationality of its occupants, the cruise lines take a more business-like approach, treating cabins as commodities. It's basically a game of supply and demand, and the rules vary throughout the world. Cruise line presidents say they aim to offer stable, competitive pricing in all markets around the globe, but local competition, sales promotions and foreign exchange rates may affect the pricing relationship between markets. When Jan Swartz was executive vice president of sales, marketing and customer service for Princess Cruises, she said pricing "depends on the nature of the destination and itinerary, the demand in that market, and how much inventory we have left to sell." In lay terms, they're saying that if Australians are buying cruises at higher rates than Americans are willing to pay, the cruise line has no incentive to drop prices Down Under to match those in the U.S. It's the same reason why a loaf of bread may cost different amounts in the supermarket in your town, the next town over, across the country or in another country -- even though it's the same product -- or why that children's toy you bought for a summer birthday party skyrockets in price around Christmas. Another cruise line concern is currency fluctuation. 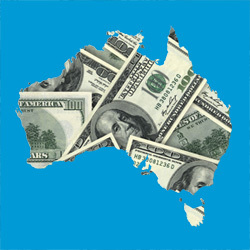 By selling cruises to Australians in Australian dollars, Australian residents are not subject to price fluctuations caused by currency movements, which they would be if they had to continually convert Australian dollars to U.S. dollars to pay their cruise fare. This is of particular importance when considering the time between depositing a booking and making final payment, which can be many months. So what is it about region-specific pricing that seems to result in the U.S. getting the best deals and the Australians left hunting for a good fare? Swartz offered a revealing tidbit: "As the U.S. is our largest market in the world, it's sometimes most effective for us to discount there to 'top off a ship' and sell the last remaining beds." Cruise lines even do this kind of regional discounting to sell off cabins within the U.S. itself, with discounts only available to residents of certain states or regions of the country. By restricting the deal to a certain market or traveler type (like seniors, military or past guests), the cruise lines can offer titillating discounts without invoking price protection policies, which would force them to honor the price drop on every single booking. Australian cruisers who are smart shoppers have been using the internet to compare fares and access the best savings -- often by taking advantage of pricing in U.S. dollars offered by American travel agencies. Cruise Critic member molliemoo writes that she booked a cruise through a major U.S. travel agency and "we will pay approximately half price, saving over $6,000 compared to the cheapest online fare I could find in Australia. Normally I'm a fierce 'buy local' supporter, but this is a serious saving." Yet, many Australian cruisers are beginning to find that this savings strategy of booking through an overseas agency is no longer available to them. Member redrob1234 posts, "My U.S. [travel agent] told me a couple of weeks ago that he could not book Princess or NCL for Aussie & NZ residents but there was no problem with my Carnival booking…. A few days after my booking was confirmed he told me that he had just been advised by RCCL that they could no longer book cruises on their ships for all of us down-under." Redrob1234 is right. According to Vacations To Go, booking from Australia was banned by at least nine cruise lines, which do not allow any international residents to book cruises through U.S. agencies. "Some of these lines have had the ban in place for a while but only recently began to enforce it," Vacations To Go's chairman and CEO Alan Fox told Cruise Critic in an e-mail. "We are very disappointed that we have had to turn away so many of our Australian customers and they are certainly disappointed as well." The Holland America, Princess and Royal Caribbean representatives we spoke to confirmed that they mandate that Australians book cruises in Australian dollars through local agencies (Princess goes so far to say that "our North American travel agent contracts forbid them from booking residents outside of the U.S., Canada, Mexico and Puerto Rico"). However, Carnival -- a cruise line not mentioned in Vacation To Go's fine print -- takes a different approach. Carnival spokesman Vance Gulliksen told us, "CCL offers worldwide pricing so our pricing is the same no matter where in the world a consumer may be.... At the end of the day, it is the consumer that makes the final determination as to how and where they will buy their CCL cruise vacation." Although the cruise lines talk in very strict, well-defined terms, the U.S. agents we spoke to think the issue is less black and white. While they agree that their contracts with the cruise lines forbid them from marketing their offers outside North America, they can legally accept business from around the world. 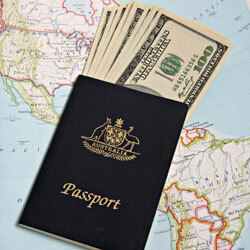 In fact, there is no law forbidding U.S. travel agencies from selling to international travellers. And while it's true that some retailers strictly adhere to the cruise lines' policies because they have contracts with the lines, others are willing to accept international bookings and up their sales, even if they run the risk of getting their wrists slapped by the cruise lines. Anthony Hamawy, president of Cruise.com, told us that "the lion's share of cruise lines overlook [international] bookings, though several don't." Here's why most do: If a cruise line flags a booking and tells the travel agency that they can't book an Australian resident at the U.S. rate, the line will suggest that the booking transfer over to the line's local, in-house cruise consultants at the going rate for that nationality. In most cases, the U.S. agency will then go back to the consumers and offer them a similar cruise, at a similar rate, on a different cruise line. Instead of keeping the cruise booking (and securing the higher, regionally correct rate), the cruise line loses the sale altogether -- and may have made a bad impression on the consumer who will be less likely to book with the line in the future. Terri Burke, senior vice president of relationship marketing at Cruise Planners, agrees that there's a discrepancy between what agents are supposed to do, according to their cruise line contracts, and what they actually do. Cruise Planners agents are trained on the nature of the agency's contracts with the cruise lines -- which allow for the sale of cruises only within the U.S. and only to North American passengers. But if the agents got a call from an Australian traveller looking to book a cruise, "the reality is that most agents would take that business." So if agencies aren't taking these restrictions very seriously, why do the cruise lines take such a hard line to cross-border bookings? The cruise lines give all sorts of reasons for their strict policies. Some say it's all about strengthening the relationship with locally based travel agents. Others suggest that a local agent can provide better service and better advice on immigration documentation issues for Australian passport holders than could ever be expected from agents based overseas. Also, Australians booking cruises with local agents are protected by local consumer laws should the agency become insolvent, which they wouldn't be if they booked with an overseas seller. However, U.S. travel agents think there's more to the story. "Cruise lines rely heavily on their revenue management strategy and tactics," says Burke. "They like not having to expose one price to the entire world." If the cruise lines allow international travellers to book U.S. rates, they will lose the ability to manipulate pricing based on different markets. Hamawy agrees that it's all about business models, saying that some cruise lines do allow U.S. agencies to market aggressively internationally -- but only when the lines are looking to grow the cruise market in a specific country. So will Australian cruisers who book through U.S. agencies get turned away during debarkation, solely for having Australian residential addresses? We asked Holland America, Princess and Royal Caribbean and the response was an emphatic no. No agents we spoke with ever had customers experience that kind of denial of boarding, and no Australian cruisers could find us this warning in print. The original poster of the quote at the beginning of this piece could not be reached for comment. "I asked [the Captain's Circle hostess] if she knew anything about passengers being denied boarding at the point of embarkation," reader Maurice K. tells us. "She said emphatically that Princess would not deny boarding at all....I truly believe this "rumour" has been started by travel agents in Australia trying to scare people from booking with US agents." Member AussieGal agrees, "We have now been using T.A's in the States since 2004 and usually we have two cruises a year. I have never been denied boarding on any of the ships we have cruised on which includes HAL, Princess, Oceania and Azamara." From what agents say, the worst thing that will happen to Australian travellers who try to book through U.S. agencies is that their booking will not go through ("which rarely happens," says Hamawy) or that it could get flagged later and need to be re-booked. Burke explains that the Advance Passenger Information System (APIS) requires agencies and cruise lines to collect certain personal information from travellers, such as citizenship and residency, to provide to the government prior to departure. Cruise lines can run APIS reports at any time to see if a passenger's residency matches the fare code booked. This quality control effort has led to a reduction in customers booking special fares for which they technically do not qualify. Reader Yvonne M. says she's also had trouble with future cruise onboard credit not showing up because she booked with a U.S. rather than an Australian travel agent. However, after showing proof of the owed credit and persistent calling, she eventually received the credit she was due. One exception to the boarding-denial rule: If guests do not do their own legwork about the proper documentation required for the itinerary, they could be turned away at the pier for insufficient documentation (such as an expired passport or missing visa). Australians don't need to look beyond their own country's borders for the best price. Similar to elsewhere in the world, travel agents in Australia and New Zealand and cruise lines offer a wide range of incentives to local cruise passengers looking to buy a cruise holiday, from keenly priced deals to value-adds including onboard credit and airfares. Cruise Critic members say they've had success at finding good deals through wholesalers, direct bookings and overall smart shopping strategies. With a population not much greater than that of New York State, it's unlikely the Australian cruise market will ever be big enough to wield as much clout as the U.S. market and manage the same abundance of deals. However, Australia is capturing the attention of cruise lines, which are devoting more cruise ships and more energy to the region. So, Australian cruisers are not without some power over the cruise industry. The U.S. travel agents we spoke with argued that the cruise lines really need to bring their pricing practices more in line with today's global market. Because many of the Australian cruisers who we spoke with, or who posted on the message boards, state that they would much prefer to book with a local agent … if only they could afford it.